Podcast: Play in new window | Download (Duration: 10:39 — 4.9MB) | EmbedSubscribe: Apple Podcasts | Android | Email | Google Podcasts | Stitcher | TuneIn | Spotify | RSSAndrew reviews what it is that Mormonism teaches and compares it to the Bible. 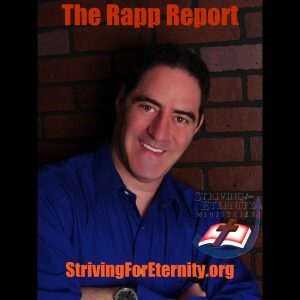 Podcast: Play in new window | Download (Duration: 2:00 — 939.3KB) | EmbedSubscribe: Apple Podcasts | Android | Email | Google Podcasts | Stitcher | RSSThe Mormon view of end times that is more science fiction than Bible. Podcast: Play in new window | Download (Duration: 2:00 — 939.3KB) | EmbedSubscribe: Apple Podcasts | Android | Email | Google Podcasts | Stitcher | RSSThe Mormons have a works-based salvation that they claim is a restored gospel. They deny salvation by grace alone for a works-based salvation like every other man-made religion. Podcast: Play in new window | Download (Duration: 2:00 — 939.3KB) | EmbedSubscribe: Apple Podcasts | Android | Email | Google Podcasts | Stitcher | RSSThe Mormon view of Jesus is very different than the Bible. In Mormonism, Jesus was not the eternal God but the brother of Satan. Podcast: Play in new window | Download (Duration: 2:00 — 939.3KB) | EmbedSubscribe: Apple Podcasts | Android | Email | Google Podcasts | Stitcher | RSSAndrew discusses the Mormon Church’s view of God. This goes over the LDS view that God the Father was once a sinful man on another planet. Podcast: Play in new window | Download (Duration: 2:00 — 939.4KB) | EmbedSubscribe: Apple Podcasts | Android | Email | Google Podcasts | Stitcher | RSSMany have heard of the Mormon Church or what is called the Church of Jesus Christ of Latter-day Saints. THey have a different authority than Christians. Podcast: Play in new window | Download (Duration: 9:41 — 4.4MB) | EmbedSubscribe: Apple Podcasts | Android | Email | Google Podcasts | Stitcher | TuneIn | Spotify | RSSAndrew talks about his trip to the Manti Mormon Miracle Pageant and evangelizing Mormons. Podcast: Play in new window | Download (Duration: 2:00 — 939.3KB) | EmbedSubscribe: Apple Podcasts | Android | Email | Google Podcasts | Stitcher | RSSWhy should anyone do open-air evangelism? It seems so outdated. We will cover why Andrew did open-air evangelism at the Mormon Manti Miracle Pagent.